CarCoverPlanet.com is proud to offer Coverking Custom Tailored Dashboard Covers. Dash Covers are a popular accessory in the sunbelt states to combat the damaging effects of the sun, reduce dangerous sun glare and enhance a vehicle's interior. A proper fitting Custom Dash Cover will soften the plastic look of a vehicle's interior and provide protection to the driver and vehicle dashboard. 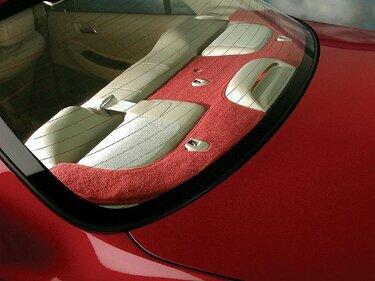 Custom Rear Deck Covers, a related accessory, covers the rear deck area of a vehicle behind the rear seats. Generally, Custom Rear Deck Covers are not available for trucks, SUVs, vans and hatchback cars. 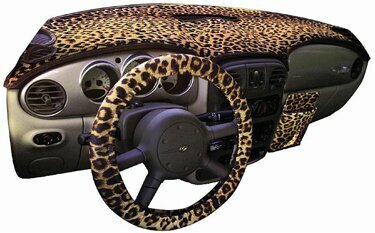 Custom Rear Deck Covers are available in the same materials and fabrics as Custom Dash Covers. A new variation on the Custom Dash Cover by Coverking is the Molded Dash Cover. 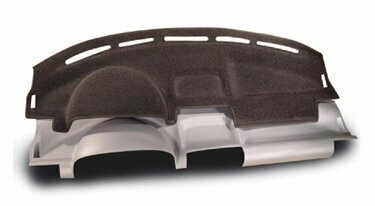 This is a thermo-formed carpet Dash Cover. It is molded to the exact shape of the dashboard, resulting in a perfect fitting cover with no stitching - this is the "ultimate" Custom Dash Cover.